MAJOR PRICE REDUCTION! 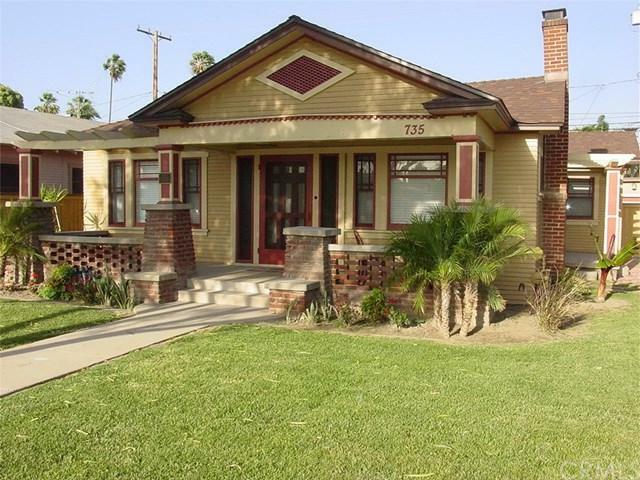 Two charming and classic Craftsman Bungalows on one lot! 735 and 737 N. Zeyn Street, built in 1922, both authentic and beautiful! 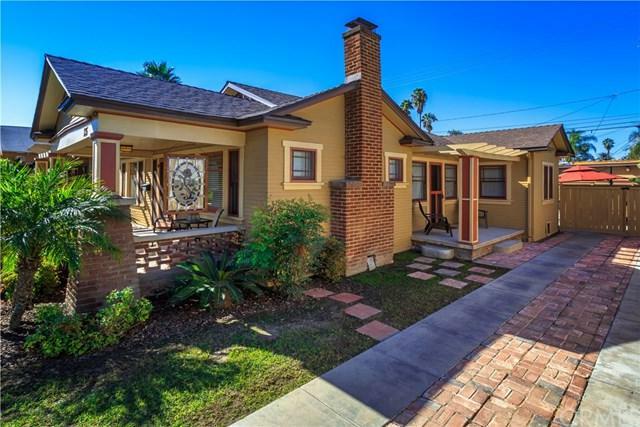 Nestled in the heart of AnaheimÃƒÂ¢Ã¢â€šÂ¬Ã¢â€žÂ¢s Colony Historic District, this jewel of a property is one of a kind. Lets talk about the front house firstÃƒÂ¢Ã¢â€šÂ¬Ã‚Â¦.1246 sq ft, three bedrooms, one full bath with original clawfoot tub, and one Ãƒâ€šÃ‚Â¾ bathroom, hardwood floors, wood burning fireplace with gas starter, central heat and air, super cute kitchen with vintage Wedgewoo MAJOR PRICE REDUCTION! 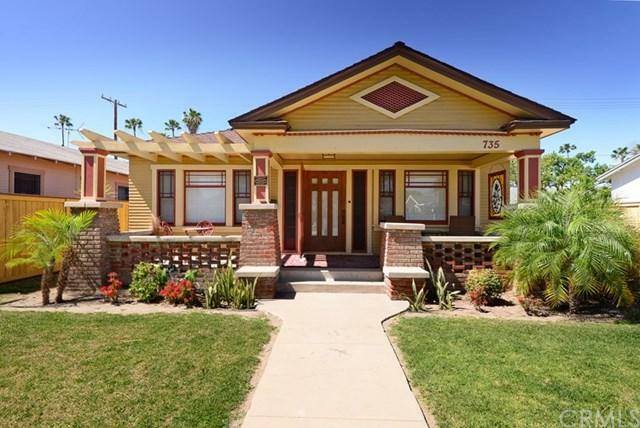 Two charming and classic Craftsman Bungalows on one lot! 735 and 737 N. Zeyn Street, built in 1922, both authentic and beautiful! 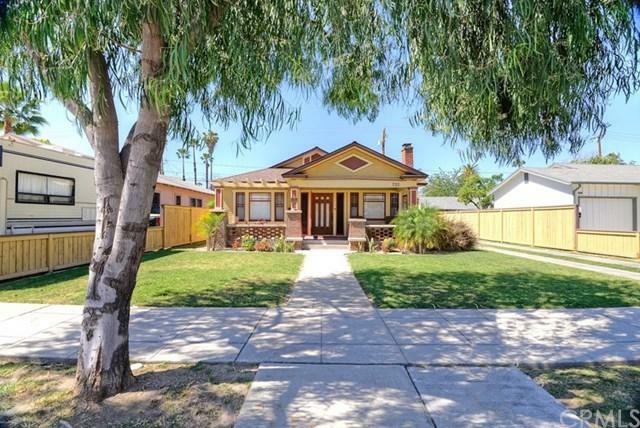 Nestled in the heart of AnaheimÃƒÂ¢Ã¢â€šÂ¬Ã¢â€žÂ¢s Colony Historic District, this jewel of a property is one of a kind. Lets talk about the front house firstÃƒÂ¢Ã¢â€šÂ¬Ã‚Â¦.1246 sq ft, three bedrooms, one full bath with original clawfoot tub, and one Ãƒâ€šÃ‚Â¾ bathroom, hardwood floors, wood burning fireplace with gas starter, central heat and air, super cute kitchen with vintage Wedgewood stove, service porch with washer and dryer, and expansive front porch overlooking immaculate landscaping and tree-lined street. Long ribbon drive parks 3 cars. Fenced back yard separates front and back residences for privacy. The cottage in the rear is also adorable! 500 sq ft, one bedroom, 1 very large bath room, separate kitchen, central heat and air, hardwood floors, private ample parking with access from alley, huge storage room with washer and dryer. Both houses have been used as rentals for the past 13 years, most recently the front house has been utilized as a popular Airbnb destination (AngelÃƒÂ¢Ã¢â€šÂ¬Ã¢â€žÂ¢s player and family lived here all last season). So many options for this propertyÃƒÂ¢Ã¢â€šÂ¬Ã‚Â¦.live in one and rent out the other, or extended family living in both, or continue with Airbnb. Currently back house is rented. Mills Act in place with reduced property taxes....The Prince House! Close to Disneyland and all downtown attractions. Listing provided courtesy of Inet Realty. Listing information © 2019 San Diego MLS, Inc.